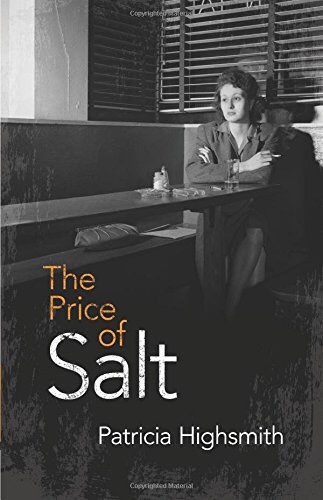 Review ~ The Price of Salt, or Carol, by Patricia Highsmith. When someone asks if you’ve read anything by Patricia Highsmith, you would usually think they were referring to her famous psychological crime novels, such as, The Talented Mr Ripley series, or Strangers on a Train. Well those are what Highsmith is most famous for, but she also wrote a little gem in 1952. This book is different as it was a complete move in genres – a romance. However, this was a forbidden (and actually illegal at the time) romance as it centered around two women. Now, obviously there was lesbian underground pulp fiction being produced at the time, but this novel broke a lot stereotypes of the time. Usually lesbian characters of the time were one dimensional; characters that needed psychological intervention to get them “over their phase”, or mentally ill, suicidal hysterical women. Highsmith broke against this convention and created characters that any one of us can relate to and understand. The novel focuses on Therese who is a 19 year old aspiring set designer who is taking on a Christmas job at a department store, when she meets an older, confidant woman named Carol. They start talking, and they begin a romantic relationship. This is one of those novels that you’ll end up reading more than once and probably coming away with a different perspective. Set from the point of view of Therese, we only get to see her side, her view, of Carol. Both of these characters have their issues, but they are so complex due to several reasons, that we are constantly re-evaluating how we think of them and their actions. One of the aspects that I really love about this novel is that being gay really isn’t the issue for these women. It’s the age old issue of not really knowing who we are, or what we can do in order to achieve some kind of murky life goal. This novel was written in the early 50’s, a time in which these kinds of complexities and truths weren’t always explored, especially with two female protagonists. I know this a book review, but I have to briefly mention the recent film adaptation. This is how I came to read the book, and I’m glad I read it before seeing the adaption. I have to admit though, the film version is very good, different in some respects, but very good. I know some people are adverse to shelling out money for older books, but I have some good news for you – the kindle version is currently only $0.99! So please take a chance, and give this wonderfully complex novel a read!